ACA is Good for Medicare! Misconceptions and misinformation about the Affordable Care Act are still too many to innumerate. 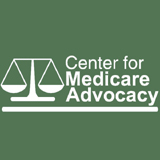 However, as advocates for Medicare beneficiaries and a strong Medicare program, we can tell you that the Affordable Care Act (ACA) is good for beneficiaries and good for the stability of a full and fair Medicare program. ACA has already added significantly to Medicare-covered preventive services – with no beneficiary cost-sharing, continues to reduce the cost of prescription drugs for people under Medicare Part D, is phasing out wasteful overpayments to private Medicare Advantage plans and added over a decade to Medicare’s long-term solvency.